The cast and crew of Once Upon a Time answered your burning questions at Comic-Con 2014. Get the scoop on new storylines and see photos here! 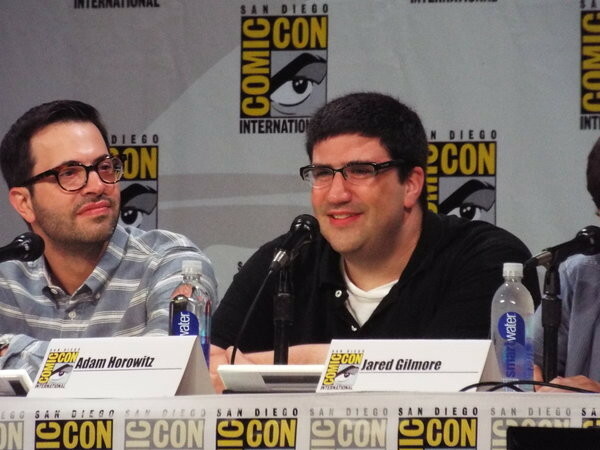 Yvette Nicole Brown moderated a panel with the Once Upon a Time cast and crew at San Diego Comic-Con 2014, including co-creators Edward Kitsis and Adam Horowitz, who unveiled two never-before-scene clips from Season 4. The first clip showed Frozen's Elsa and Anna at their parents' grave — and dropped a bombshell that Anna is preparing for her wedding! Watch the Season 4 Teaser Trailer - Awake, Arise, or Be Forever Frozen! Jennifer Morrison (Emma Swan) and Colin O'Donoghue (Hook) discussed the burning question: Who is Emma's true love? Co-creator Edward Kitsis implied Emma doesn't have to choose between her love for Neal and and her love for Hook, saying, "True love is when you truly love somebody. Soulmate is the idea that there's only one person for you." Josh Dallas (Prince Charming) melted hearts by saying Oliver, his newborn son with co-star and wife Ginnifer Goodwin (Snow White), is his "true love." Ginnifer Goodwin Comic-Con Message|Ginnifer Goodwin calls the Comic-Con crowd from the ONCE set.|Ginnifer Goodwin calls from the Once Upon a Time set to greet fans at Comic-Con and share her experiences as a new mom. Tune in to the Once Upon a Time season premiere of SUNDAY, SEPTEMBER 28 8|7c. 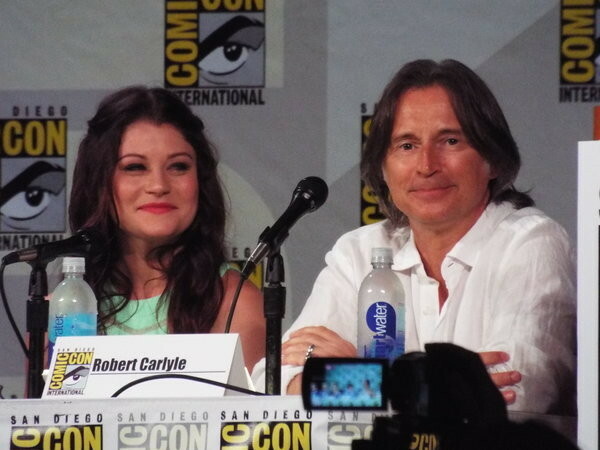 Fans asked Emilie de Ravin (Belle) and Robert Carlyle (Rumple) about Rumple's heartbreaking betrayal in the season finale. Emilie said Belle would be "devasted" to learn the truth — which doesn't bode well, considering co-creator Edward Kitsis hinted that we haven't seen the end of Rumple's weak side. Lana Parrilla (Regina) sat with Jared Gilmore (Henry) for his first-ever Comic-Con panel. When a fan asked if Neal's death would drive Henry to develop a relationship with his grandfather Rumple, producers hinted that Henry will take up the family business — but joked it would at the pawn shop. Producers also said, "Neal will always live in flashbacks and our hearts." Inside the Writers Room|See how the writers got the idea to bring Frozen's Elsa to Storybrooke.|As Edward Kitsis and Adam Horowitz lead the writers in a desperate brainstorm session to find a new character for Season 4, an unlikely source suggests they bring Frozen's Elsa to Storybrooke.Tune in to the season premiere SUNDAY, SEPTEMBER 28 8|7c. Fans also got to learn the hilarious way Elsa came to Storybrooke in "Inside the Writers Room," the Once Upon a Time Season 3 Blu-ray Exclusive Feature. The Season 3 DVD and the Blu-ray come out August 12th, and Once Upon a Time Season 4 premiere SUNDAY, SEPTEMBER 28 8|7c.